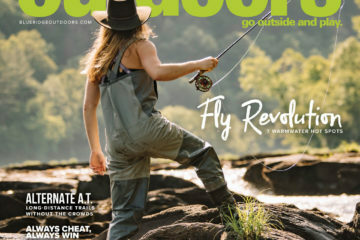 The Mountain State of West Virginia is a mecca for a wide range outdoor activities, but some would argue that fly fishing for trout is its biggest draw. 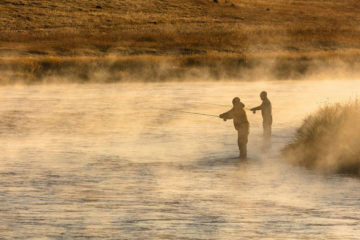 Whether you live in West Virginia, reside nearby, or even if you’re a day’s drive from this remote corner of Appalachia, fly fishing here should be a high priority on every angler’s bucket list. 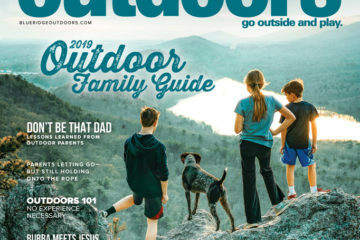 Here are four of the best trout streams that West “By God” Virginia has to offer. 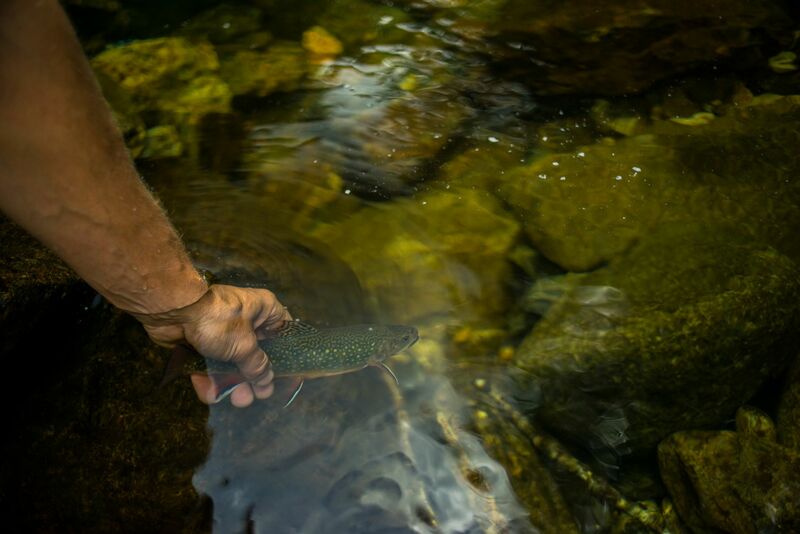 Flowing through the heart of the Monongahela National Forest and the 47,000 acre Cranberry Wilderness, the Cranberry River is known for producing sizable brookies, browns and rainbows. Anglers familiar with the area know that the Cranberry River is broken up into two sections, the backcountry and the lower sections. The lower section provides easier, drive-up access, while the 16-mile backcountry portion, which encompasses both the North and the South Fork, is more remote and deamnds a fair bit of hiking. Solitude is often the reward when fishing the backcountry section. Also notable on the backcountry section of the Cranberry River are the numerous overnight shelters. More info here. The Elk River is a limestone spring creek that consistently draws anglers from all over the country. The reason for its draw is its propensity for producing large and feisty wild browns and rainbows—some reaching sizes of 20 inches or more. Originating in the Allegheny Mountains at the confluence of Big Spring Fork and the Old Field Fork, the Elk River includes a catch and release only section, known as The Dries, that begins at the aforementioned headwaters and flows some 4.5 miles before disappearing underground where it feeds into several miles of caverns. Once the Elk River emerges from its underground depths, it continues for a few miles as catch and release only fishery. The catch and release section below the dries is said to harbor rainbow trout so large that they’ve been mistaken for steel head. More info here. While not as universally known as acclaimed West Virginia trout waters like the Elk and Cranberry Rivers, Dry Fork is looked upon as a highly productive fishery by many a Mountain State native. Part of the well known Cheat River system, Dry Fork originates in the Monogahela National Forest before it flows through Randolph and Tucker counties. In both counties it is stocked once in February, and once every two weeks from March through May. The key to fishing this Cheat River tributary is to focus on riffles and deep pocket pools ranging three to five feet in depth. Featured on Trout Unlimited’s list of the top 100 trout streams in the United States, Seneca Creek is named for a series towering sandstone bluffs nearby that have been a popular destination with rock climbers for decades. While rock climbing may be the main attraction in this area, the fly fishing is not to be missed. 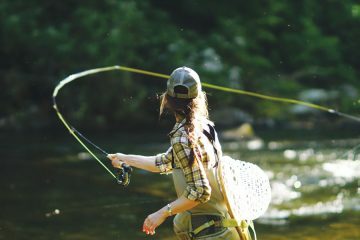 Like the backcountry section of the Cranberry River, Seneca Creek is more remote than some of its counterparts, making an overnight excursion the best way to capitalize on all the great fly fishing it has to offer. The creek is know for wild rainbows and native northern strain brookies. For more info on seasonal hatches, preferred guides, and a detailed fishing report for Seneca Creek click here. 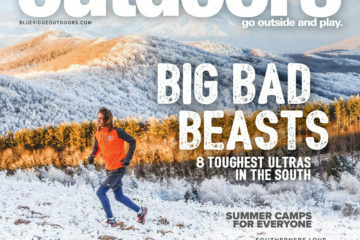 Next ArticleWhat’s the best kayak for your outdoor lifestyle?